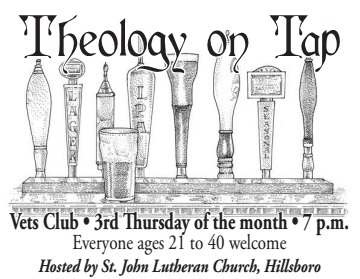 Come join us for Theology on Tap. We will be meeting for fellowship (the tap) and discussion about whatever questions we have about the Bible or Christianity in general (the theology). We’ll be at the Hillsboro VFW. See you there!